This is one of my older sculptures; carved around 12 years ago. 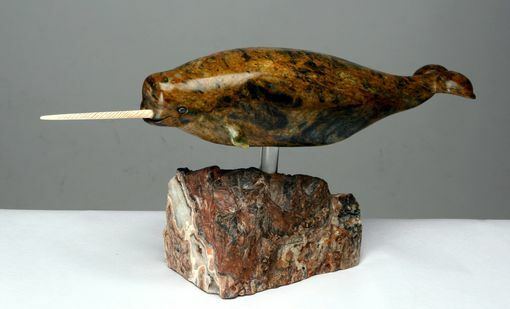 It was carved from an exceptional Brazilian soapstone specimen. The tooth is mastodon fossil ivory and the eyes are labradorite. 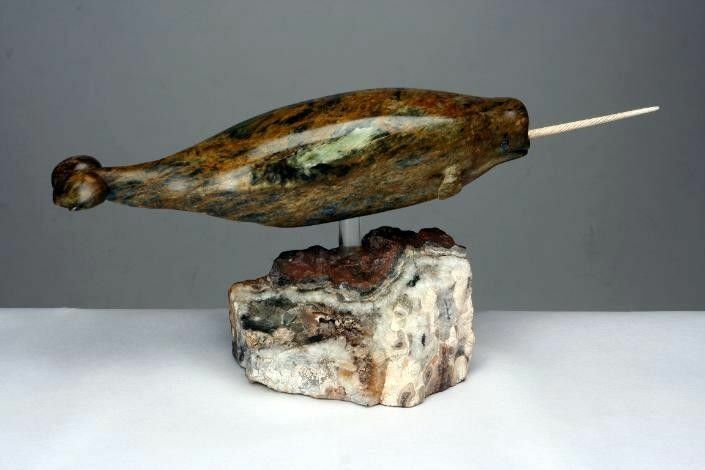 It is mounted on a specimen from the Thunder Bay Agate Mine that has some agate stalagmites (it was one of the nicest specimens that I found while I was working there as the resident sculptor). It is currently available.